Change Your Clocks....Change Your Batteries!!! 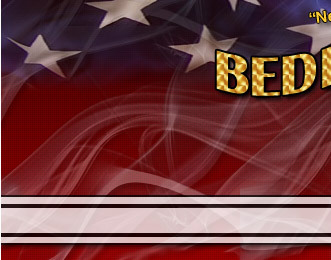 Duplication of text, photos, or any other content on this website is prohibited without permission of BHFD. If you have questions, please contact our webmaster. 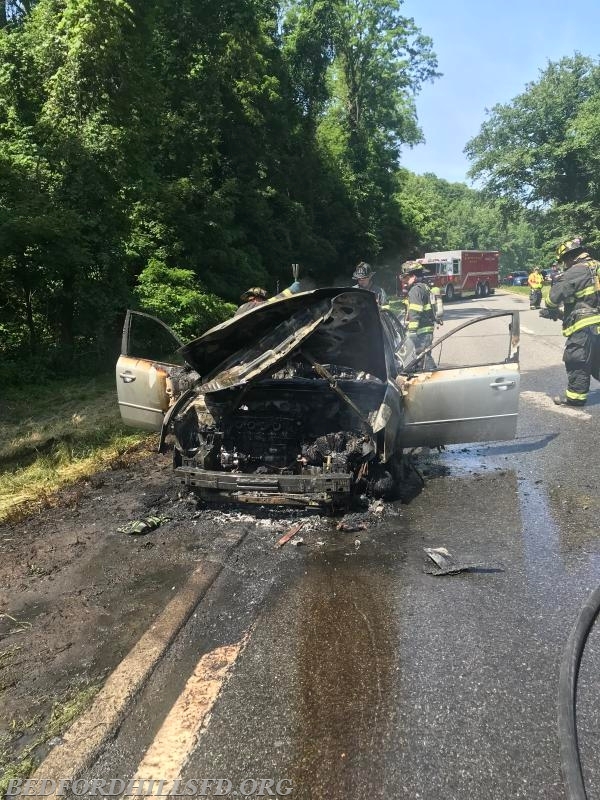 BHFD was dispatched to the Saw Mill River Parkway in the area of Green Lane, for a reported vehicle fire. 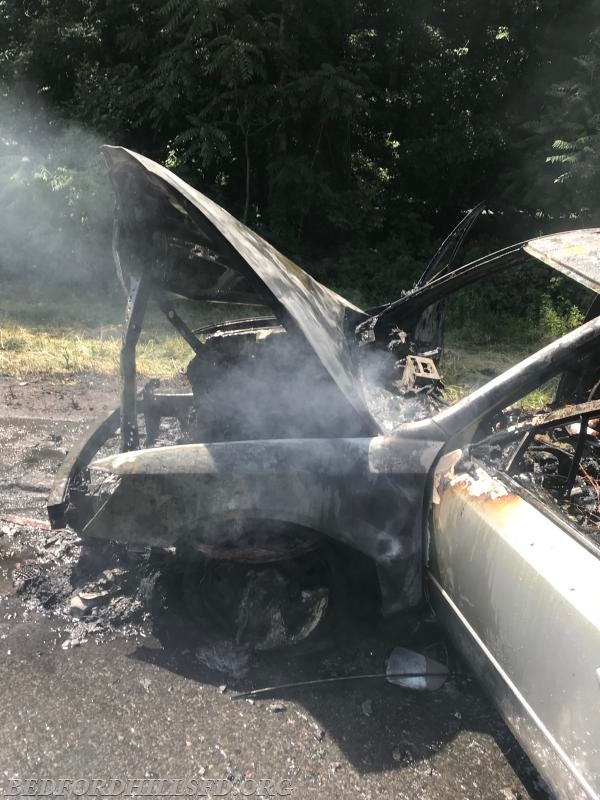 Upon the arrival of Car 2032 (Chief Dennett), he confirmed the fully involved vehicle fire. Mount Kisco Engine 104, that was dispatched to the incident originally believed to have been in their district was asked to continue into the scene. 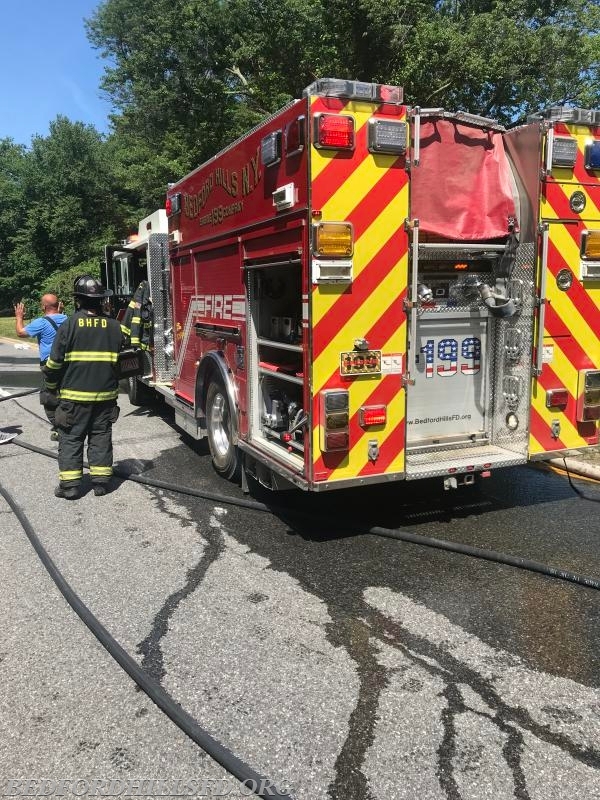 Engine 199 and Engine 104 arrived simultaneously, Engine 199 stretched a 1 3/4" handline for suppression, while Engine 104 tied into Engine 199 with a 3" line for supply. Tanker 5 arrived, and supplied both Engines, while Rescue 10 and Mini Attack 9 controlled traffic. The fire was knocked down, and extensive overhaul was needed do to "colliers" conditions in the vehicle. 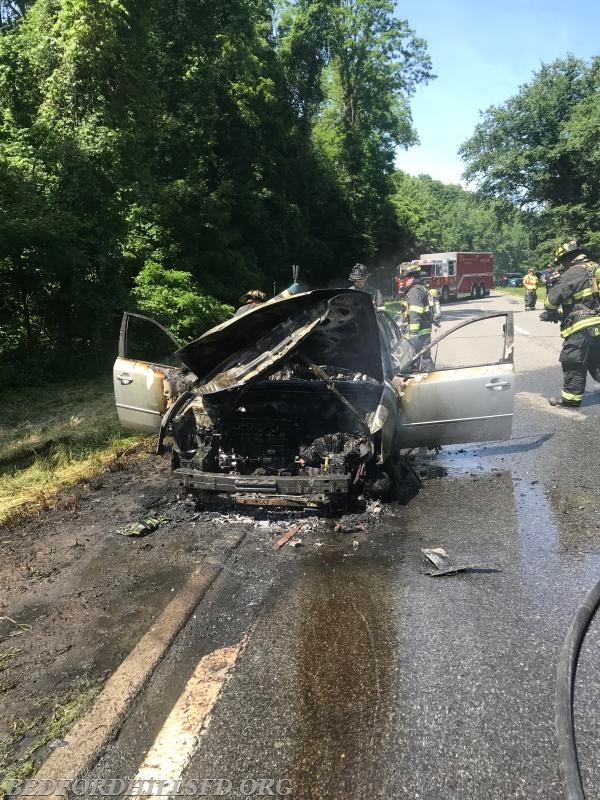 BHFD ensured the vehicle was safe for transportation for the tow company and turned the scene over to Westchester County Police. While operating at this incident, multiple vehicles attempted to make U-turns in the grass median of the Parkway and became disabled. Motorists are reminded, that although it may be a minor inconvenience, you should not attempt U-Turn unless directed by Emergency Personnel.